NOTICE: New Petzl GRIGRI Lead Belay Method - NEW!! 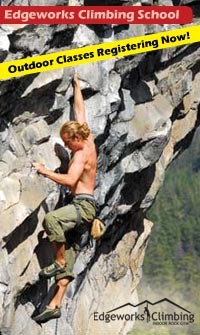 Edgeworks Climbing: Job Openings - NEW!! SLIDE SHOW: Climbing Thailand - Wednesday April 11th - NEW!! Congratulations to the Edgeworks Climbing Team, they are going to Divisionals in Salt Lake City, Utah! This last season the Edgeworks Climbing Team made a very strong showing; at all competitions we had climbers placed in the top 3 and overall the Edgeworks Climbing Team placed 3rd for the season as a team. 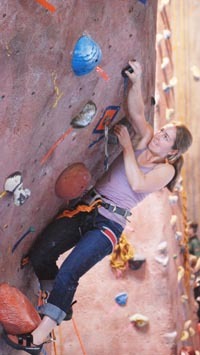 The Edgeworks Climbing Team participated in Regional Championships in Seattle on May 17th and did very well. Out of 9 of our climbers competing, 7 of them qualified for Regionals. Great job! 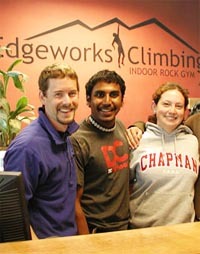 Edgeworks Climbing is currently hiring for seasonal and full-time positions! Act fast, the closing date for applying these positions is June 10th! Edgeworks is a fun place to work; we have a unique environment that encourages welcoming both customers and employees into the gym. We have a variety of positions open throughout the year, if you don't see any jobs open or a position that suits you, please send us a cover letter and resume so we can keep it on file when positions do open. Climbing in Thailand is like Superman climbing at Disnyland; the rock is shaped like something out of a climber's fantasy, the routes have big moves to big holds and everyone is climbing like they are invincible. It really is something of a climber's dream. Join Edgeworks for an evening of photos and stories of climbing the limestone stalagtites and tufas of southern Thailand. Some of the most spectacular climbing in the world is right off the beaches of Thailand! Spring has sprung, but we keep setting. In the last month we have set over 60 new routes, just for you! Come try them out. A challenging 5.9 that will push your skill. A cool dihedral stem finish up both walls. Crimpy start with a cool layback finish! Climb one side, through arch then finish. Ride the tufa and then balance! Big moves through each crux. Big jugs through the overhanging archway. Traverse the arch, make sure you heel! Andy's way to keep you working hard. The fickle month of June, sometimes it’s raining. 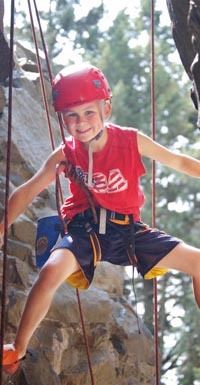 When it’s raining, come to Edgeworks and work on your Movement & Technique or learn to build Sport Climbing Anchors. No time for a class? Try a Private Lessons, scheduled at your convenience. Have you ever wondered how to safely get to the top of a ridge or mountain while building your own protection and anchors? This excellent class establishes a good foundation of technical skills that will heighten your enjoyment of climbing outdoors.